Has BMW’s M division completely lost its collective sanity? Once the purveyor of some of the world’s most lithe, tactile, naturally aspirated sports machines, they’ve gone and made this: a near three-ton, twin-turbo SUV. In the ‘80s and ‘90s, this would be borderline unforgiveable. So what gives? Well, despite a shrinking global economy and uncertain automotive industry, the super-ute market remains an untapped resource for BMW. And, surprisingly, these super-fast behemoths are still selling. Take into account that, despite all odds, BMW’s enigmatic and endlessly contradictory X6 “Sports Activity Coupeâ€ hasn’t been a complete sales flop, and you begin to see the why the X6 M came to be. Even given the highly capable competition (we’re looking at you, Porsche Cayenne Turbo S), the X6 M remains highly impressive, able to sprint from 0-60 in under five seconds courtesy of its thundering 555 horsepower twin-turbo V-8 engine. And it’s pretty capable in the bends too, with its four-wheel drive system and massive 20-inch wheels offering tons of grip. But beyond that, it’s a fairly compromised vehicle. Rear storage doesn’t feel any greater than that of a luxury sedan and it only seats four. We think the X5 M might be slightly less contrived thanks to its traditional SUV shape, but the X6 is equally comfortable, if not shockingly unnecessary. 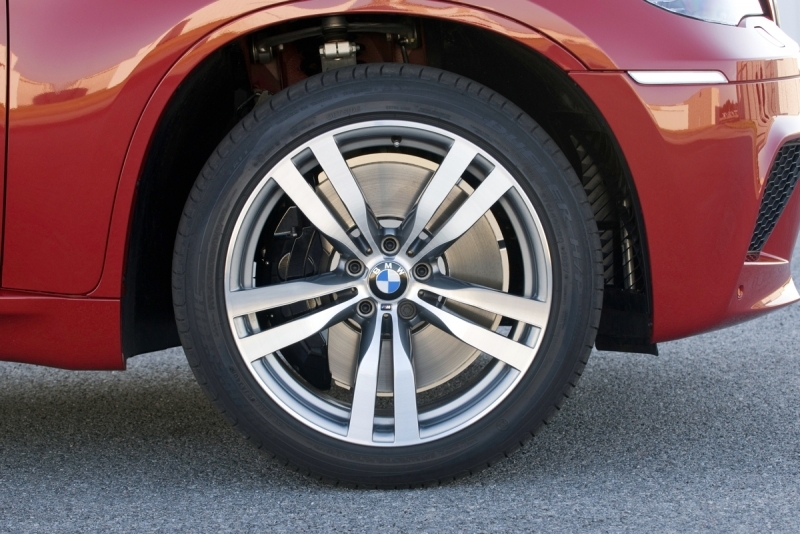 For a giant, clearly compromised vehicle, the X6 M manages to feel surprisingly agile, and the ample turbo torque means massive acceleration is available whenever you please. It’s a fantastic tourer, with very comfortable seats and a supple ride when you want it. As always, you pay a hefty premium for that M badge, in this case over $20K more than the not-very-slow-in-its-own-right X6 xDrive50i. Fuel economy is inexcusably dismal and you’ll be lucky to see mid-to-high teens, even if you drive almost exclusively on the highway. Storage space and seating are far too limited for a vehicle this size. The X6 M is all about mid-range turbo grunt, delivering a heavy thud of torque from just above idle that doesn’t let up until 6,000 rpm. It’s a fantastically flexible engine, feeling every bit as manic at 3,000 rpm as it does at redline, even if the V-8 is wanting for better vocals. The automatic transmission shifts incredibly fast but sacrifices none of the buttery-smooth off-the-line characteristics that some dual clutches have trouble replicating. Get it into a corner and the balance and grip are surprising to say the least, but feel through the steering wheel is frighteningly vague for a BMW. Get out of the X6 M and into a small roadster and it will feel like you’ve gone from flying a jumbo jet to a next-generation military fighter. The X6 M is powered by a 4.4-liter twin-turbo four cam V-8 engine that produces 555 horsepower and 500 lb-ft of torque at as low as 1,500 rpm. Power is driven to all four wheels via a six-speed automatic gearbox with steering wheel-mounted paddle shifters. There isn’t a huge amount of options available, but one cool add-on is the Driver Assistance Package, which adds a heads-up display, rear view camera that talks to the park distance control system and automatic headlights. 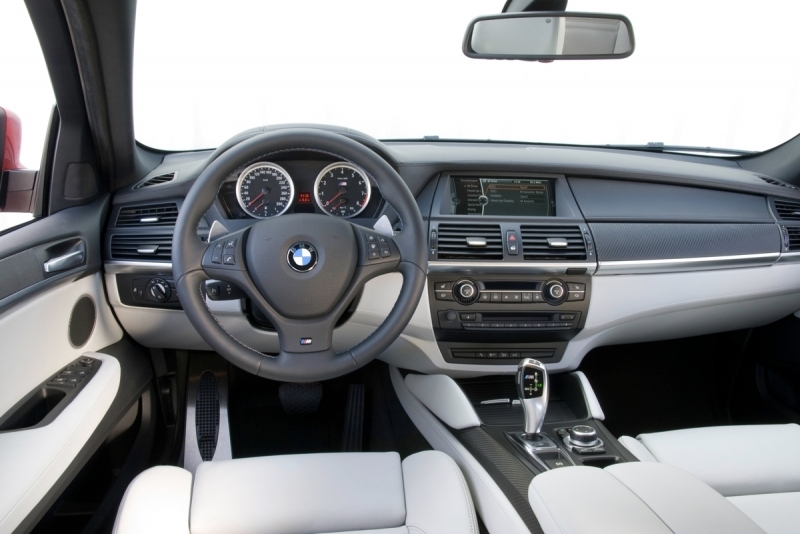 BMW’s recently reworked iDrive system comes standard, and if you’ve heard horror stories from the past, you can relax. The new system is a substantial achievement in usability, technological integration and, er, common sense compatibility. We find it a bit ridiculous that iPod and USB adaptors don’t come standard in a car this price. Brace yourself. This car has come to our planet to consume all of our fossil fuels with its ruthless thirst, returning 12 mpg city, 17 mpg highway. You’ll rarely see above 17 mpg, even if you consider yourself an avid supporter of the speed limits and cruise control. It weighs over 5,300 lbs, after all. Aside from the compromised luggage space due to the X6’s “coupe-likeâ€ shell, the interior is cavernous and luxurious. The seats are incredibly comfortable for long distance trips, and the rear bucket seats almost feel as if they sit lower than those of the driver and front passenger. Unfortunately, this means you must sacrifice that much-loved middle seat. 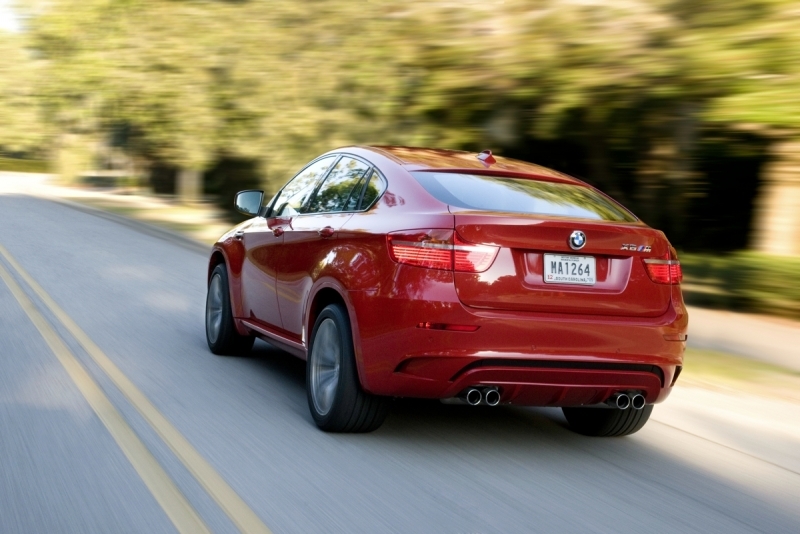 Say what you want about the polarizing design of the X6, but this is certainly a car that will turn heads. The M gets a highly aggressive front-end that’s easily identifiable, as well as lower side skirts and 20-inch light cast alloy wheels. 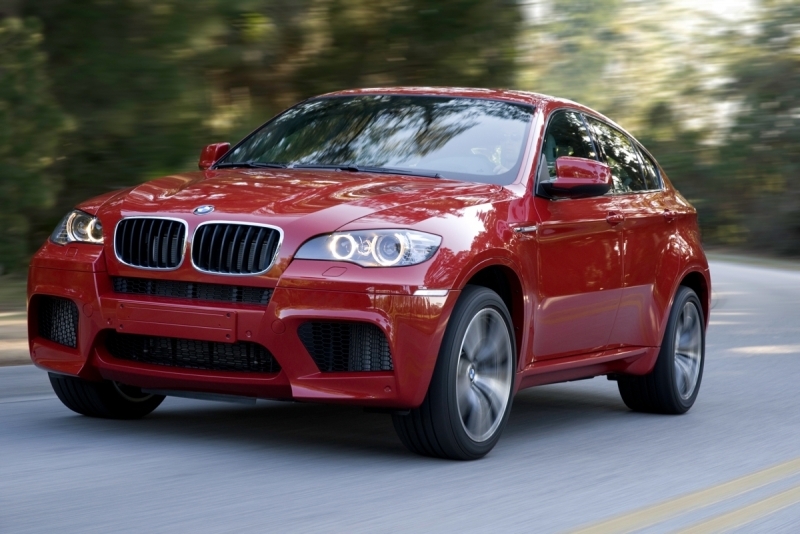 The 2010 BMW X6 M comes in at an MSRP of $88,900, but keep in mind that the price of entry into the super-ute club is quite high, as is evidenced by its competitors. These include the Porsche Cayenne Turbo ($99,900), Mercedes-Benz ML63 AMG ($91,050) and, of course, the BMW X5 M ($85,400). The X6 M may be a marvel of engineering achievement, but we can’t say it’s a strictly necessary vehicle by any stretch of the imagination. The original design was horribly contrived if not impressive by the segment’s standards, and the M hasn’t done much to change that. Clearly there are people who want this car, but if it were our money, we would go for the X5 M. Or an M3 sedan and a used station wagon.